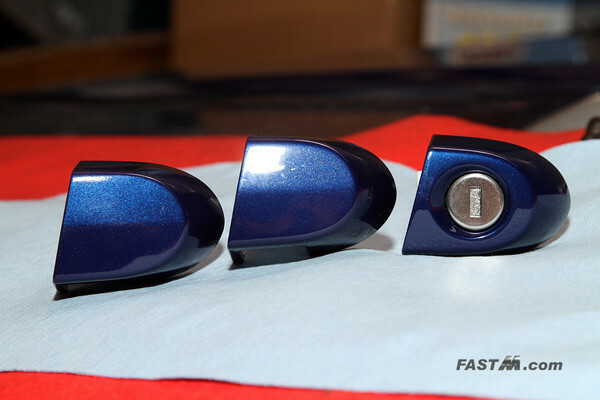 Replacing your keyhole cover on the door handle not only adds a little bit of security, it also adds a nicer look. Note that if your battery dies and doors are locked then you will have no access to into your vehicle. Open your driver's side door. 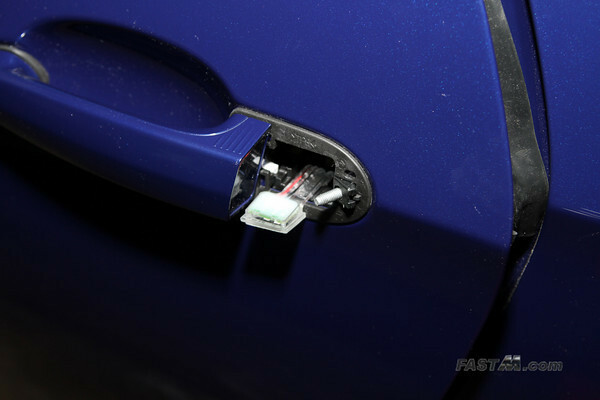 If you are afraid of scratching your car, apply painters tape around the keyhole cover. 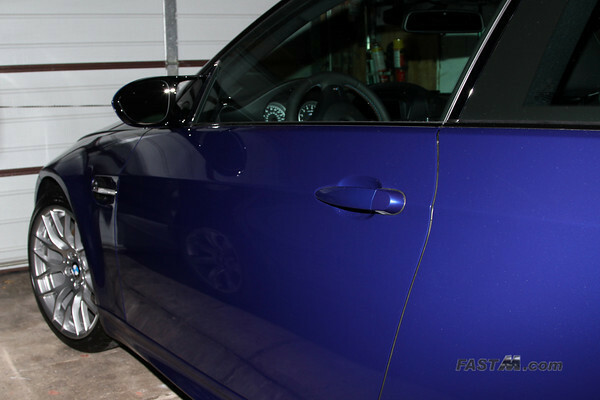 Once you open your door you'll see a rubber weather strip on the upper part of the door. Peel this piece back from the bottom up. 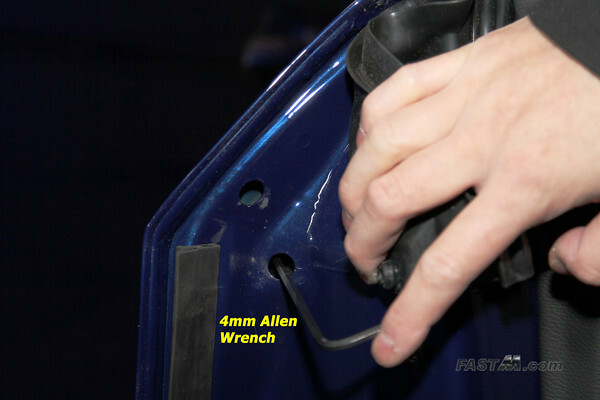 While holding the rubber flap back, use a 4mm hex wrench to unbolt the OEM keyhole cover from the lower exposed hole. IMPORTANT: Be careful NOT to drop the hex bolt inside the door or you'll have a fun time trying to retrieve the bolt. Personally I did not remove the bolt during the process as to not risk dropping the bolt inside the door. 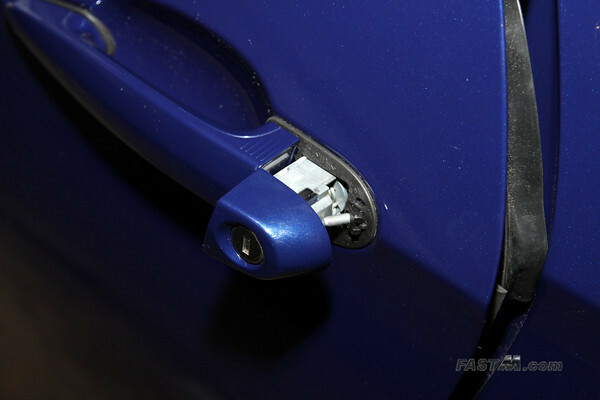 A magnetic hex bit will reduce the chances of dropping the bolt into the door..
Grasp the OEM keyhole cover and as you pull, wiggle it up and down. It can be very tight but little by little it should wiggle free. Rubber gloves will help in getting a better grip. There's no need to transfer the locking mechanism to the new cover. Carefully align the new cover and bolt it in place. 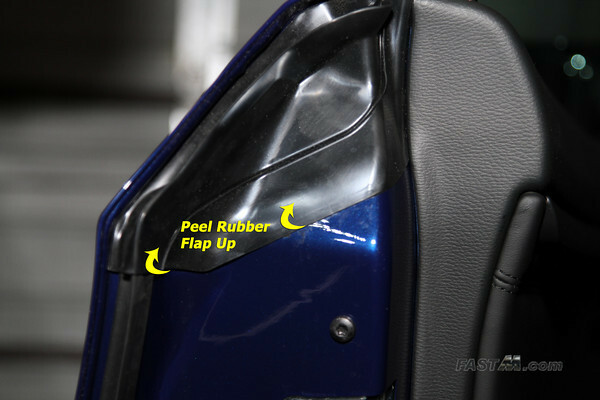 Once you have verified it's aligned and looks good, reinstall the rubber weather strip flap.